A favorite for many students piano lessons are often referred to as the basis of all musical training, the piano is an instrument found in all parts of the world. Its large range practically encompasses that of a symphony orchestra. For beginner to advanced learners. At Inna’s Hall of Fame, we focus on teaching students basic knowledge of the instrument as well as theory, including rhythm, scales, and how to read music. Piano has proved to be an excellent first instrument choice for students who may later want to switch to other instruments, study voice or even take up composing. 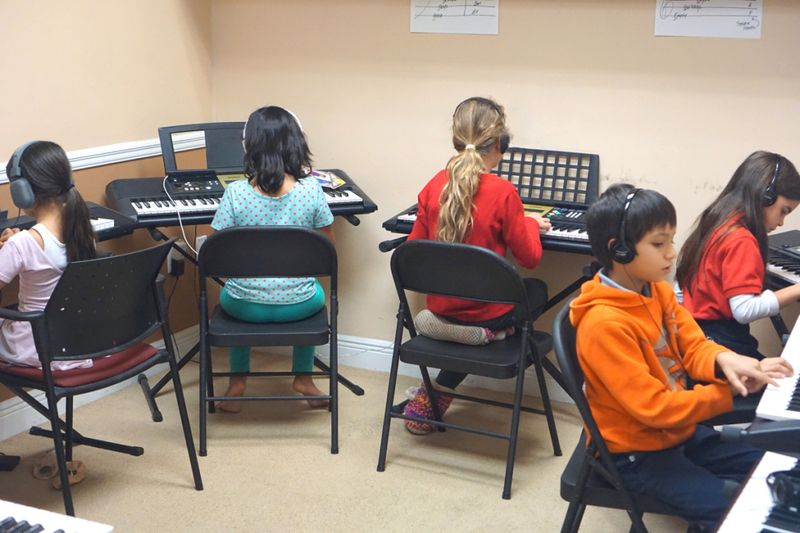 We offer group piano classes for beginners where they learn basic piano lessons in a group setting. This is a great way to introduce your child to piano alongside other beginners as they learn together. Each child will have their own keyboard to work off and they must follow along in an instructional setting where the children will learn to read music and follow notes together. Inna Hall of Fame also offers private piano lessons for children and adults of all levels and abilities. In private piano lessons our teachers work closely with student determining the more fitting learning curve for the individual case. Our piano lessons are taught by educated musicians prevailingly with years of Music experience who have have performed or are performing in a variety of styles, including classical, jazz, and rhythm and blues. Most of our teachers specialize in more than one instrument and formally trained for many years. All students will also have the opportunity to perform in two yearly music shows to showcase what they learned at a Cooper City theater location.